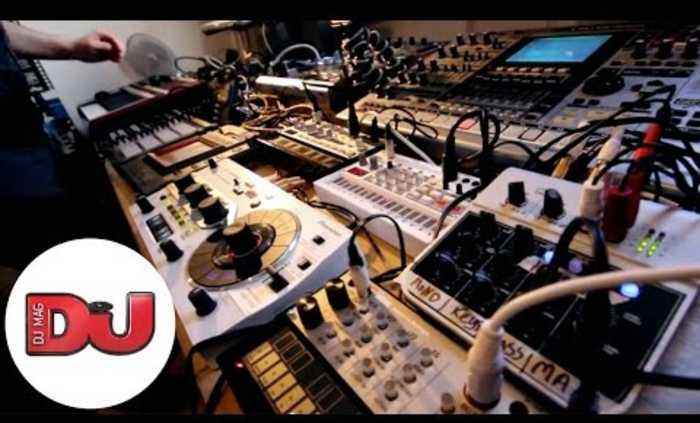 One News Page Australia > News Videos > Saytek live 30 minute hardware house and techno performance! 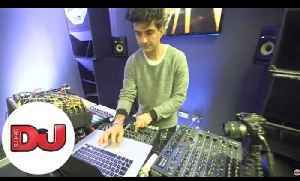 Saytek live 30 minute hardware house and techno performance! 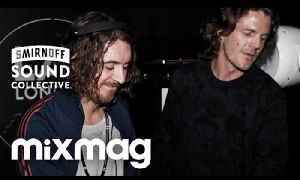 Subscribe to DJ Mag TV: http://bit.ly/Oduqwo DJ Mag Live Episode 2 - Beardyman studio jam - https://www.youtube.com/watch?v=4LFU59nTPTU All music written, produced & performed live by Saytek Arranged live from Ableton scene page + hardware onboard sequencers Kit used in making & performing : Ableton 9 Roland MC909 Native Instruments Maschine Mikro Arturia Spark D16 - Classic Boxes Korg Volca : Keys Bass Sample Korg Kaos Pad 3 Korg Monotron Delay Pioneer RMX1000 Pioneer DJM900 Nexus Subzero mix02-1a MacBook Pro Senhiezer HD25 Saytek has steadily grown over the last few years to become one of the scene’s most in-demand live acts. From playing the Space Ibiza closing party to fabric to rocking Tresor to his former residency with Zoo Project, he has garnered acclaim the world over. His live shows are truly live, featuring a myriad of synths , FXs , A Roland MC909 and controllers which ensure a much more engrossing performance than someone simply clicking on a laptop. DJ Mag nominated him for Best Live Act in their 2013 Awards. With a prolific output of EPs and live albums on Cubism plus releases on labels such as Soma, My Favorite Robot Records , Wiggle , Monique Musique and fabric (london Club) with upcoming releases including for Kevin Saunderson’s Legendary KMS and liebe*Detail .image Saytek Live On Cubism 3 was released at the beginning of Nov 14 on CD and Awarded 9/10 by DJ Mag , 8/10 by Faze Magazin (Germany) and getting glowing reviews across the press including Freshguide Berlin , Decoded Magazine and4clubbers.net. Subscribe to DJ Mag TV: http://bit.ly/Oduqwo Kamran Sadeghi has been on a journey exploring all of music’s various dialects, a kind of recluse on his own path. 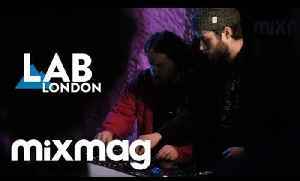 Favouring the science of sound over..
Coors Light & Mixmag present Brame & Hamo in The Lab LDN Their track 'Roy Keane' was a Mixmag track of the year. The Lab is powered by Void Acoustics: http://voidacoustics.com/ The duo, comprising..
Find out more about WAV: http://wav.media/s/5DPOoNFf For more DANCE SPIRIT: https://soundcloud.com/dance-spirit For more TARA BROOKS: https://soundcloud.com/tarabrooksmusic Enjoy this? Please..
Mixmag & Smirnoff Sound Collective present The Lab NYC feat.ADELINE CONNECT with ADELINE : https://www.facebook.com/Adelinelive The Lab is powered by Void Acoustics:..
Smirnoff Sound Collective and Mixmag present The Lab The Lab is powered by Void Acoustics: http://www.voidacoustics.com Acid Mondays step up to the plate. More on Acid Mondays:..